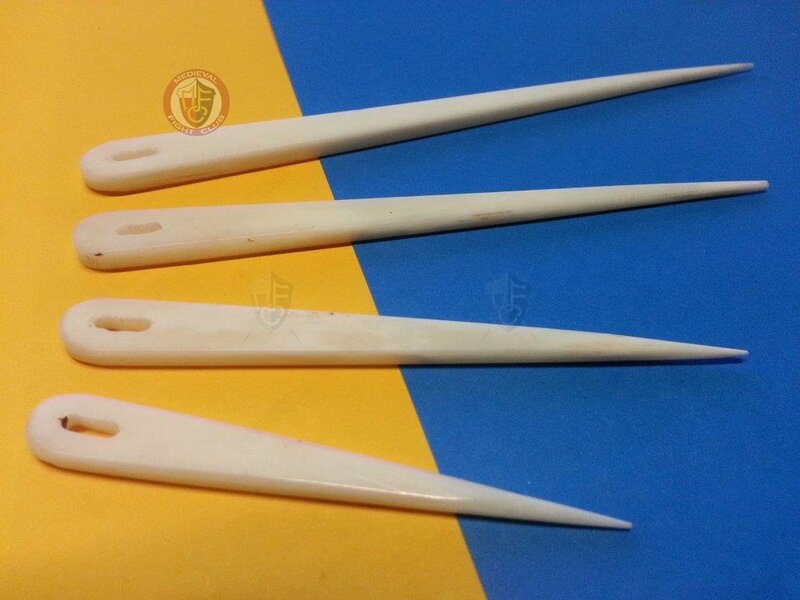 Set of 4 bone hand carved polished needles. These could be the bling items your early medieval ladies costume needs. 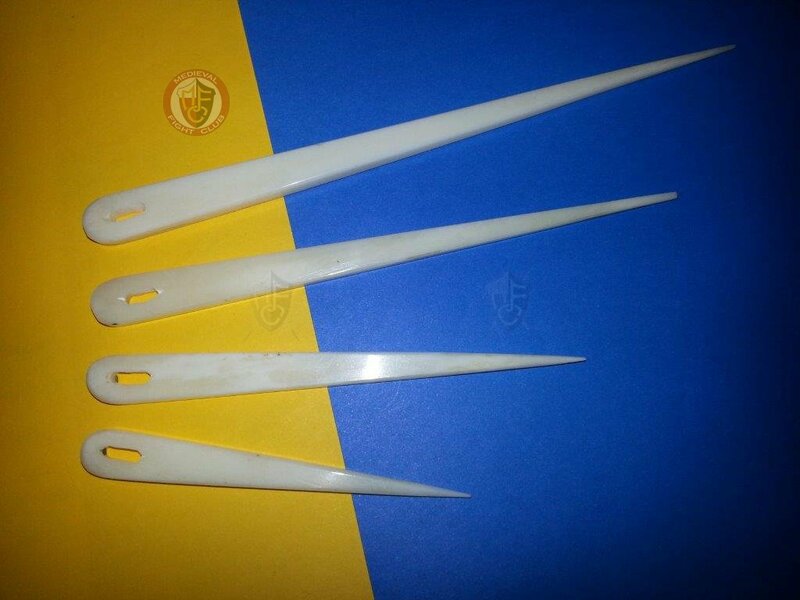 They are supplied blank and are ready for a little scrimshaw work to individualise them. 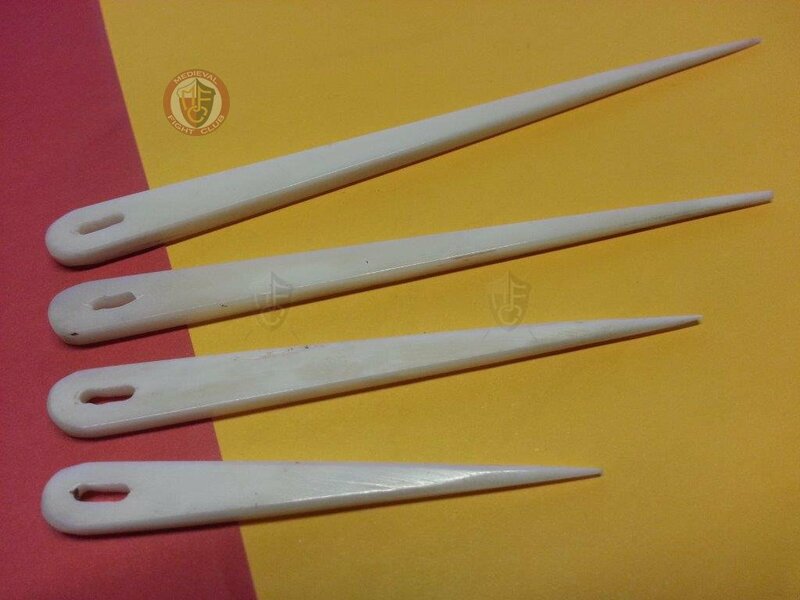 We understand they are suitable for naalbinding and some tapestry work.